If you are a friend, a family member, a student, client or peaceandfitness reader, by now you know I have big issues with Big Pharma, on many levels, for many reasons. I have been involved with the fight against the legal pill pushers and I watch it continue at the quiet little pharmacy right in the same plaza as Tamarac Fitness Center, but trust me, I am not just watching. If you are at all interested in how OxyContins have become the drug of choice for children and adults alike, and wonder how this can be, I would like to share some info. Back in 1995 one Curtis Wright, M.D. was employed by the FDA and involved in the approval process of the “oxys.” After the approval he left the FDA and went to work for Purdue Pharma, who happens to manufacture the drug. Hmmmm. Did I mention that the drug was classified not for severe pain, but for moderate pain….I happen to know people that have gotten them for tooth pain, post minimally invasive procedure like liposuction and of course back, knee, foot…basically any kind of bodily pain. Let me also introduce you to J. David Haddox, M.D., the gatekeeper at Purdue Pharma, who during the original “launch” of the drug, worked to convince the medical profession that there was no such thing as addiction to these pills…just “pseudo addiction.” The answer to patients who exhibited sings of “addictive” behavior, was to increase the dose. Haddox, by the way is currently Senior Medical Director, Health Policy and past President of the American Academy of Pain Medicine (AAPM). At present he is busy working on marketing the term “under-treatment of pain,” in America. Thanks to these heavy hitter professionals and others just like them, in the past 10 years per capita sales of opiates in our country has increase 600%! Of course, there has also been an equal increase in overdose deaths and….addiction. NOT PSEUDO ADDICTION…REAL LIVE, KILLING PEOPLE (7 a day in Florida) ADDICTION. If YOUR family has not been effected by this horrific crime, than you have a lot to be thankful for. My heart breaks for all the lives lost…for all the parents that have had to bury their children and for all the children that have had to bury their parents, as well. My guess is that many of us have effected family members and we don’t even know. I am a huge believer that people in severe, chronic pain and certainly the terminally ill, should have easy access to pain relief. These are NOT the people I see in the gym parking lot. They are driving in from Tennessee, Ohio, Kentucky and other states to bring the pills back and sell them on their hometown streets. This is criminal, but more criminal are the doctor/pharmacy set-ups that are not just allowing this, but promoting it. I, for one, cannot sit back and watch. Thankfully, my children did not get involved with drugs, but your children are my children, too, because we are all connected. Supposing I should somehow tie this rant into the theme of my website, I will conclude by saying that moderate pain is best treated with some over-the-counter, long time studied drugs like Aleve, Tylenol or Advil, just to name a few. Eating healthfully, exercising regularly, meditating, deep breathing…all great tools (maybe addictive, pseudo or otherwise) for avoiding and managing light to moderate pain and sometimes, they are even enough to manage severe pain! If you learned anything from this blog entry that you feel would benefit someone you know, please pass it on. Together, we can not just make a difference, but we can save precious lives, as well. Thanks to the ladies at STOPPNOW for all their incredibly hard work fighting this war. You can find a link to them on my link page. Thanks to you, for allowing me to vent. Now it’s time for some real peaceandfitness as I go walk with the bigredguy. Hoping you will find time for some fitness and some peace, today and every day. It’s the anti-medication! Don’t forget Biggest Loser hits the White House to work out with Michelle Obama tonight. Though it’s been a frustrating wait, it’s good news to see the pain pill pushers FINALLY getting taken down! I can’t stop applauding the grass roots efforts of those 3 local ladies, Joy, Janet and Renee, at STOPPNOW. If 3 people with a cause and a passion can make the kind of progress that they have, there is no stopping the “99%” who are occupying Wall Street and most every street! Thanks to a small group of people who came up with a win-win-win situation back in the 90s, SilverSneakers continues to grow and that is great news. As open enrollment begins next week, keep your eyes open for insurance providers that offer YOU wellness benefits. The market is growing and locally we welcome Coventry Insurance to the list of providers offering the SilverSneakers benefit. Remember that if you are a local and know of someone who is looking for a place to take class after the middle of the night closing of Sunrise Fitness Center (aka Golds Gym) invite them to come on over and take class with us at Tamarac Fitness Center. Still another small group making big news. The food trucks are “piling up,” up tonight and locally they will be gathering from 5-10 pm at 5350 W. Sample Road. Maybe tonight will be the night I finally try the vegan Mac’n truck! Finally, the smallest of seeds gone large…how did my chia pudding come out? I like it, but I like most everything. Seriously. Definitely resembles rice pudding but you have to be ok with seeds in your pudding. Personally, I’ll probably stick with eating them on my salads or in a shake, but with as much nutritional value as those little guys pack in a serving, I will definitely be including them in my daily diet. In keeping with the theme of today’s blog, remember that taking one small step can lead to huge change! Make it a fantastic Friday and as always, thanks for stopping in. Thanks to all my students for your constant feedback and support. I got all the messages and emails regarding SilverSneakers, the gyms, etc., and I think we are moving along nicely. I will keep you posted as I learn more and get more details! Remember, we are in this thing together. Last night was a quiet, easy dinner. Tofurky cold-cuts on yummy breads and a franks and beans casserole…the tomatoes came from the garden and the rest of the meal was pretty unhealthy and fattening, but easy after an afternoon with my girlfriends. The chocolate lady (me) came by and made some chocolate covered strawberries AND some chocolate covered peanut butter filled pretzels. THOSE are, as the kids might say, “off the chain.” I try not to make too many and a little dark chocolate is good for us, as are strawberries and peanut butter. I took pictures of the strawberries because they really are so easy and come out looking like you bought them at a fancy store, but of course, this morning, I am having a hard time remembering how I got the pictures from my camera to this site! Every day, new things to learn and sometimes to RE-learn! Anyway, this kind of dinner is where portion control is paramount. I think I portioned…I am sure the kids did NOT. There was a real mood change when the across the street neighbor backed up into James’ door. I HATE those incidents, but they happen. I remember hitting my neighbors car when we lived in Tamarac. I had never before and never again hit a car, and it had to be a neighbor. UGH. I am sorry, James, and I am equally sorry for our neighbor, who hit your car. It’s just part of life and will all work out! Cars……..they often subtract from our peace of mind, but the object of the game is to try not too let this stuff bother us TOO much. What great news for STOPPNOW.com and the way too many people effected by the pain pills and the pain pill mills! The governor has decided to do the right thing, the legal thing, the thing that was already supposed to happen months ago…Governor Scott has apparently agreed to put the pill mill data base into effect. Thank goodness!!! Imagine how many lives might have been saved had he done this in December as scheduled? At an average of 7 deaths a day, the numbers are enormous. At least now there will be SOME control! The 3 moms who spearheaded this grass-roots effort are to be applauded for the incredible job they continue to do with their peaceful protests and non-stop dedication to this very sad, situation. For more about this, go to the stoppnow link on my link page. Thanks, Toi (my public school friend) for sharing the blogging challenge and stopping in to check out peaceandfitness. Toi is a massage therapist, life coach and so much more, out in the LA area of Californian. You can check out her site at tblbodywork.com. Toi was a great, positive energy for as long as I knew her, and though we are on opposites sides of the country, we are definitely still on the same page! Lots of changes are happening in my work life, and I am always excited for new and different opportunities. Being forced out of a comfort zone is sometimes exactly what we need to grow. I look forward to the opportunity to keep growing, right along with all of you. Whatever your Friday holds, remember, as the lululemon people remind us, to “breathe deeply and appreciate the moment. Living in the moment can be the meaning of life.” Everything else just falls into place. A week from this morning, I will be typing in the dark. Yes, we (those parts of the country that DO) change the clocks next Saturday night/Sunday morning. I will love typing in the dark, in order to get an extra hour of sunlight at the end of the day. I do worry about the kids outside waiting for school buses, but other than that…I am ALL about the time change. Can’t wait! While I took a break from making soup (enough of the winter soups!) yesterday, after a morning trip to the farmer’s market…and a local trip to my scale for a morning weigh in, I decided on making a big, big pot of simple vegetable soup. No way I love it in the way I love the beans, lentils, and thicker soups, BUT when it comes to filling up on healthy, low calorie meals, a good vegetable soup can go a long way to shedding some pounds while fueling the body with lots of healthful nutrients. I only used a very small amount of vegetable broth, and instead used plain water. That alone cuts out tons of sodium. After sauteing a large diced onion and a large diced leek (just the white part) I added about 12 cups of water, 2 cups of broth and diced carrots, zucchini, celery, string beans and one potato cut into pretty small pieces. I threw in some fresh parsley and oregano and also a lot of cumin and paprika (at least a teaspoon of each, probably a little more). I will be eating that with most meals this week to help fill my belly while burning some belly fat! Bathing suit weather is just around the corner! I also made a really interesting side salad last night. I boiled 3 ears of corn for about 4 minutes and then threw them immediately into ice water to stop cooking. I did the same with about 1 and 1/2 bunches of asparagus. Then I cut the corn off the cobs and cut the asparagus on a slant, into 1/2 inch pieces. I tossed them together with a small, chopped red onion and added a dressing of a few spoons of sugar, vinegar, olive oil, salt and pepper. The recipe did NOT call for the olive oil, and it called for a lot of sugar, but I doctored it up. I cut some basil up and threw it in there, too. It was really good on the side of a garden salad. It probably would be just as good without the sugar but I thought we were having company for dinner so I didn’t want to vie to far from the recipe. It was colorful and yummy! This would make a great take along for a spring or summer picnic!!! The next stoppnow rally will be at the Ft. Lauderdale, St. Patrick’s day parade. I have gotten a lot of questions and feedback…you can reach Joy, Renee, Janet and the rest of the “oxy moms” at stoppnow.com. You can contact them directly, sign up for their emails and read more about their stories and what they are doing to help stop 7 deaths from happening daily. Wake up, Governor Scott. Law enforcement agents, politicians, parents, etc., are pleading with you to put the data base into effect. Everyone else can’t be wrong. Please. My family has been effected…every family has been effected. If you haven’t yet, chances are, sadly, you will be! I have students who have been fighting this fight for a solid 10 years, already. 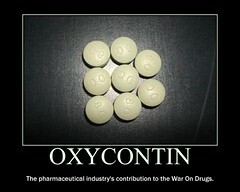 Having lost children and loved ones to prescription medications, I can only try to imagine their pain and frustration. I am committed to continuing to spread the word. While our loved ones are fighting the demons of this addiction, it is awfully hard to find peace or fitness! Take care of yourself, but please, let’s keep taking care of each other, too. Have a magical Monday. If you are local, there will be a peaceful protest on October 15 at 9 a.m. The photo below was once called CD HEAVEN EAST. It was my son, Derek’s wonderfully fun music store. How sad that after he left, this is what came into the bay, making the once lovely strip center, a haven for drug addicts and dealers. I am happy to say they are no longer open, but we need to work together to get them all closed. People that are truly in pain can get their pills from their doctors and pharmacies the good old fashioned way. Every single day our loved ones are withering away and dying from this crime that my county and it’s politicians seem to feel is fine. Please visit stoppnow.com and see what you can do to help spread the word. This group aims to keep bringing attention to this very tragic situation. I will be spending the next few days catching up with friends I haven’t seen in a very long time. If I don’t pop in till after the weekend, make it a great one. Posted on October 8, 2010 Categories STOPPNOW3 Comments on STOPP NOW!